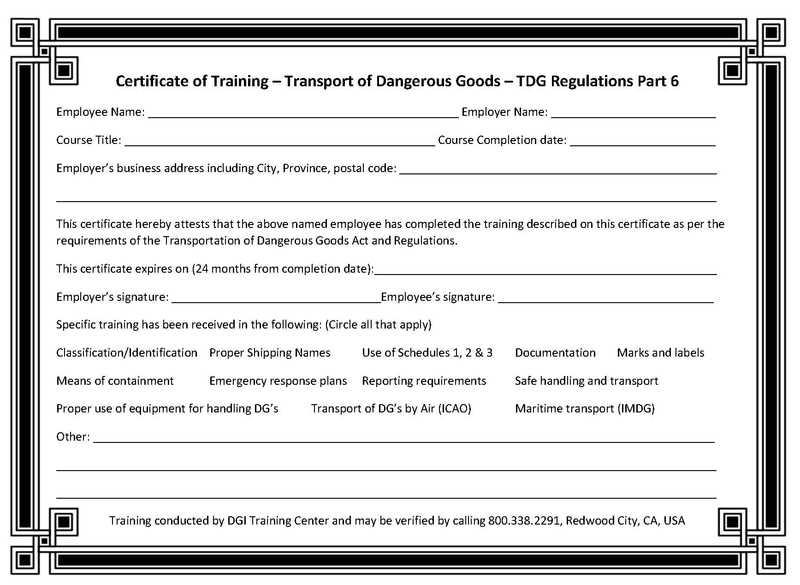 A person who resides/works within Canadian borders and handles, offers for transport or transports dangerous goods must be adequately trained and hold a certificate in accordance with Transport Canada (TDG Regulations), Part 6, Section 6.1. The certificate requirements differ from ICAO and IMDG and require additional information for compliance. This certificate below must accompany your DGI Training certificate and be maintained in your training records.